CJ's Circuit Classes is the hottest bootcamp in Southern California. Hot music, high paced and one of the most inspirational fitness coaches around, you cannot help but improve. Get your endurance up and lose those inches with the most dynamic boxing bot cams offered in L.A. There is no sparring so everyone learns and no one gets hurt! Must be on time! No admittance after 8:10 am. For the early birds there is a Bootcamp for you. Coach Nancy has the workout to start your morning off right. This is a new friendly bootcamp that all level of fitness can enjoy. Circuit Class, Cardio Boxing and Rejuvenation Class only $200 per month. Gift Cards Available! 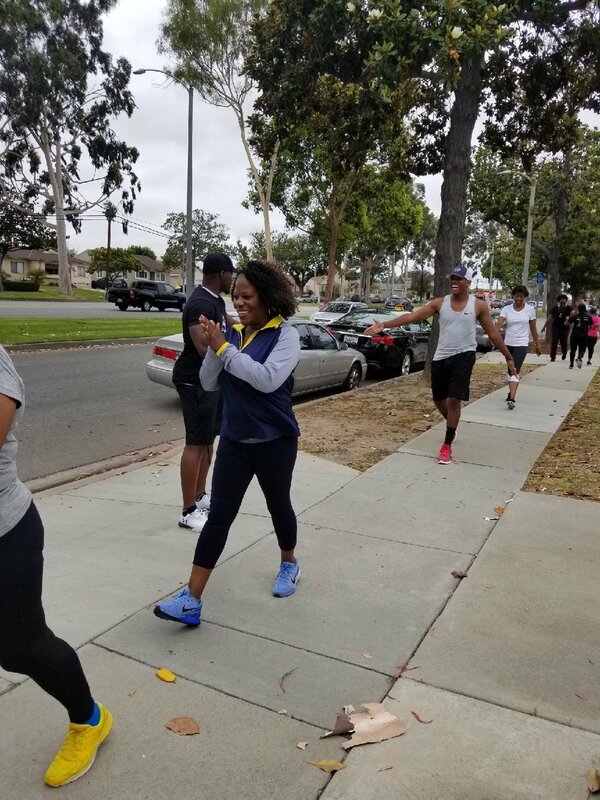 You've seen CJ get the party started at popular events like the KJLH Women's Health Forum, Black and Beauty Wellness Forum and Special Needs Network charity events. Now you can bring the man himself to your private event. For 1-Hour CJ will help celebrate your loved one's special day with a bang. Party includes: warm up, workout and cool down. We will play the best jams and get your bodies pump while celebrating your birthday! The workout are purely for fun and all levels of fitness are welcome. Plus, with the the most professional and helpful fitness hunks and ladies from CJ's BOBLA Team, this party does not have to stay in Vegas! Who needs cake when you can get your Birthday Bootcamp Boogie with CJ and CJ's Functional Fitness! For corporate wellness, church events or non-profits CJ can inspire with his motivational wellness seminars. Whether you want a group fitness sessions or public speaking, CJ will leave your group on fire for wellness. Click on Contact Us to fill out form to request CJ for your Wellness Event.